The Wetumpka Depot Players have a rich history of thrilling audiences with comedies, dramas and musicals! 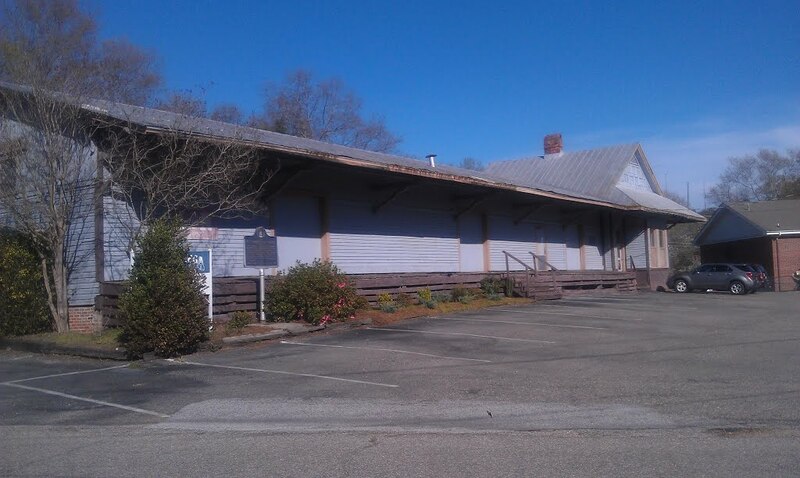 The historic Wetumpka train depot was deteriorating so in the spring of 1980, a small group of local residents decided to form a community theatre and put on the show, Nine Girls to help renovate the building. In the winter, the building was cold and audiences dressed in layers to stay warm. In the summer, patrons wore shorts and brought fans. But the shows were entertaining and the community rallied around the new group. The audiences enjoyed “tried and true” plays such as Count Dracula, Frankenstein and The Mousetrap. In the mid-1990s, the Players began to look for a bigger space. The Players used a variety of wonderful spaces while they searched for a new permanent home. The historic Elmore County Court House was the venue for Inherit the Wind and Witness for the Prosecution. The Wetumpka Performing Arts Center was used to stage Nunsense, Oklahoma and The Music Man. In December of 1999, the Depot incorporated as a non-profit organization and purchased and renovated a building that once housed a grocery store. The Depot’s “black-box” theatre accommodates 160. The Wetumpka Depot Players are committed to providing the best performances possible – that’s the driving force behind the Players success. While some Depot volunteers have degrees in theatre and a few have professional experience, most are getting their first taste of the thrill of trodding the boards on the stage of the converted grocery store. But no matter their backgrounds, all are bitten with the “theatre bug” and treat their work with the Depot with the same commitment and professional attitudes they bring to their “real” jobs. As the Depot enters its 39th season, the group continues to evolve. For the ninth year, the Depot has participated in the Alabama Community Theatre Festival, returning with awards and critical accolades, including winning best performances in 2009, 2010, 2013 ,2014 ,2016 and 2018. The cast of Second Samuel represented the state at the national competition in 2011 and the cast of The Diviners will represent Alabama in 2019 at the Southeastern Theatre Conference. The group has a long history of providing theatre educational outreach opportunities to children and youth. A senior/retired program was founded in 2013 to outreach to senior citizens. Children receiving training in the Depot summer program and in collaborative programs with area high schools are receiving professional work opportunities in regional theatre, film and television. 2019 will be the launch of our Penguin Project, our special needs theatre outreach. On the university level, the Depot’s investment is area youth relevant as more of our young people receive scholarships. In 2019, we are dreaming of our future. Our building needs maintenance and renovations for our ever expanding programs. We have no doubt that if we work hard to maintain the quality of shows that our audiences have come to love and appreciate, that our future needs will be met. Please consider a tax deductible donation to support the Depot Players. Thank you for being a part of our history and helping to make us the best little community theatre around! 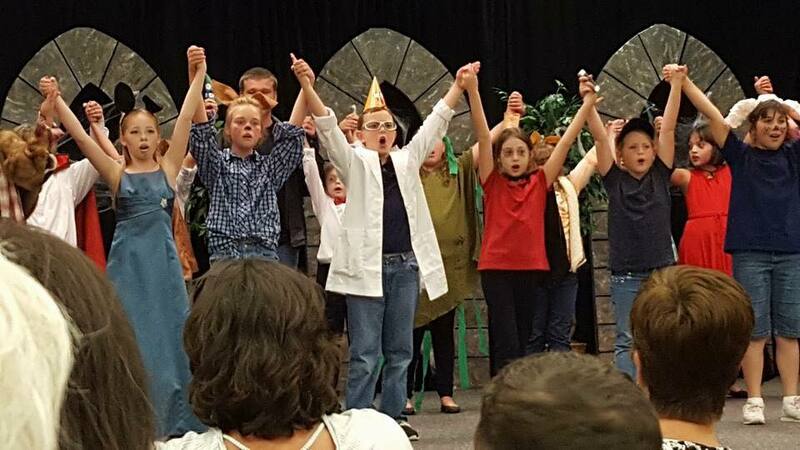 Your tax deductible donation helps your community theatre pay royalties and expenses associated with our productions, provide services to people of all ages in our community and allow for scholarships to deserving children for our school productions and camps. Your support is appreciated more than you know! THANK YOU!!!! !